Obesity and type 2 diabetes go hand and hand, and they may be able to share the same pathway to treatment, thanks to brown fat. According to a new study published in The Journal of Cell Biology, Swedish researchers have discovered a new approach to stimulating sugar uptake in the blood in a similar way to insulin. 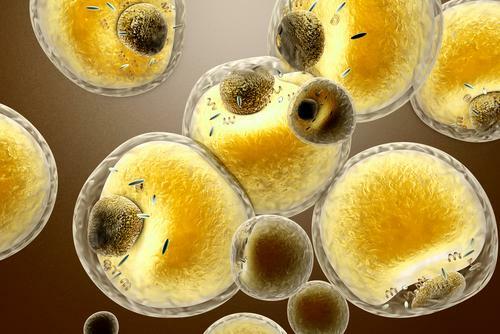 In the past, researchers have been able to see how adipocytes (fat cells) function beneath microscopes, which led them to discover there were two completely different types of fat in the body. Brown fat is composed of small fat droplets with large mitochondria, which is the powerhouse and heat-burning engine in the cell. The purpose of brown fat is to ultimately burn calories in order to generate heat. Those who are younger and in shape have higher levels, which help them balance their blood sugar levels. White-yellow fat, on the other hand, is the enemy. It has far less mitochondria because it serves as an energy reserve in the body. It insulates and cushions our important organs. Estrogen, adrenaline, cortisol, and hunger-appetite regulating hormone leptin are produced in the white-yellow fat cells, along with receptors for insulin. When you exercise, the brown fat converts the white-yellow fat into more brown fat. In the study, researchers found a new pathway for that brown fat to stimulate blood sugar uptake. "One of the most interesting characteristics of this newly discovered signal pathway is that it differs from the signal pathway triggered by insulin," the study’s lead author Tore Bengtsson of Wenner-Gren Institute, Stockholm University, said in a press release. "This means that the signal pathway in brown fat can most likely be activated even in patients with type 2 diabetes, where insulin signaling is impaired." The pathway mTORC2 is the key turning on the body’s ability to absorb and control blood sugar in brown fat tissue. Balancing glucose for diabetics is one of their greatest battles. Diabetics have a difficult time balancing the sugar in their blood. Now knowing brown fat can help the body balance sugar levels in a similar way to insulin, this pathway can be pursued as a way to treat or curb type 2 diabetes. Researchers have found the switch to make it happen, and in doing so they may have also stumbled upon a new and effective weight loss therapy. The sharp rise in obesity and type 2 diabetes over the past 30 years has demanded scientists move their efforts into the field of fat study. Last week, a team of researchers from Italy and the Netherlands just figured out how to use bile acid to stop insulin sensitivity in diabetics. The field is rapidly advancing in new and important information on how fats work within the body, and what the best step is toward making a diabetic-free world a reality. Source: Olsen JM, Bengtsson T, Sato M, Dallner OS, Pisani DF, Chambard JC, et al. Glucose uptake in brown fat cells is dependent on mTOR complex 2–promoted GLUT1 translocation Journal of Cell Biology. 2014.